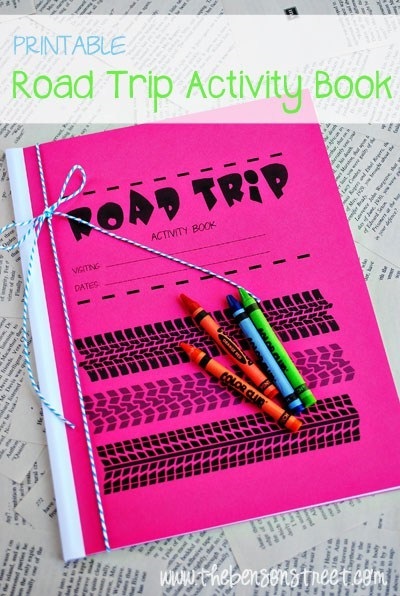 Our last road trip activities for kids post has been read more than 50,000 times! And it's been shared more than 8,000 times. 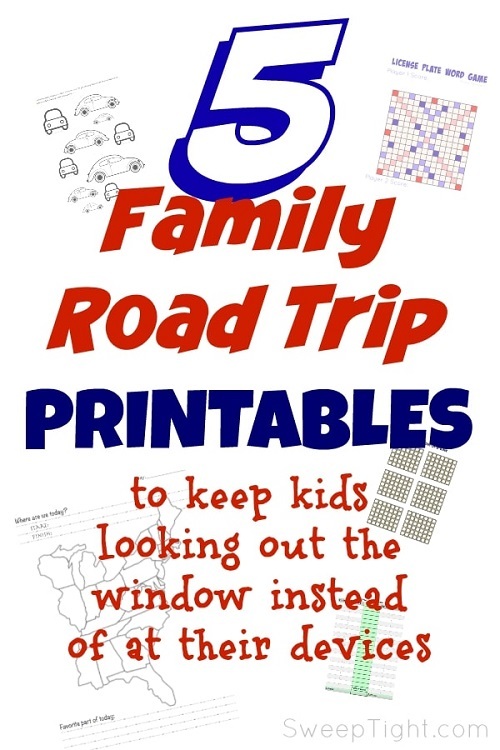 It was full of the ideas we came up with to survive travelling with kids on a long road trip. 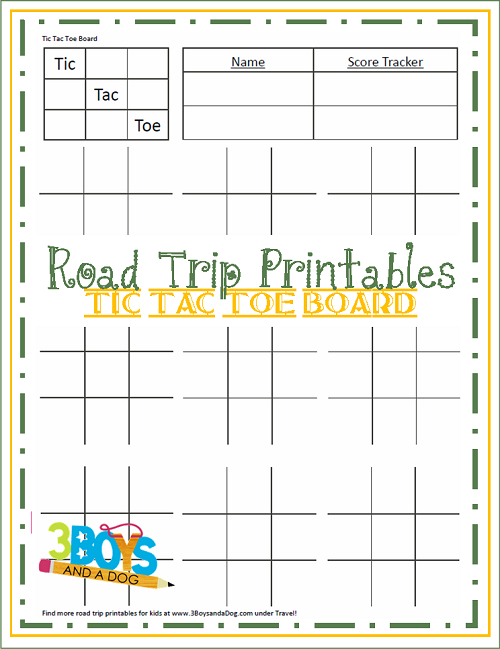 I've got a new tool in my family travel arsenal: Road Trip Printables! This year our kids will be older: 11 and 13. We expect our ride to be smoother than last time - for one they've both got bigger bladder capacity now. (This time I don't expect our son to need to publicly urinate in front of state troopers.) But this time around we are spending more total hours in the car travelling from Ontario to Calgary, Alberta and back. Dang, Ontario is big - it's going to take two days just to get to the border from home! 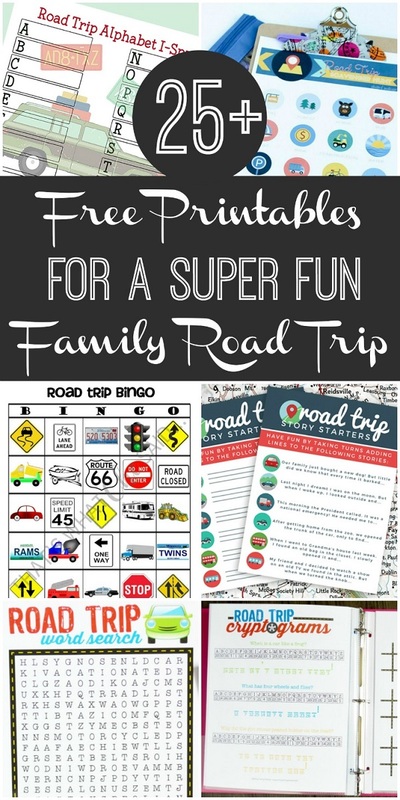 We need some new ideas to keep our family amused during these extra long hours in the car. 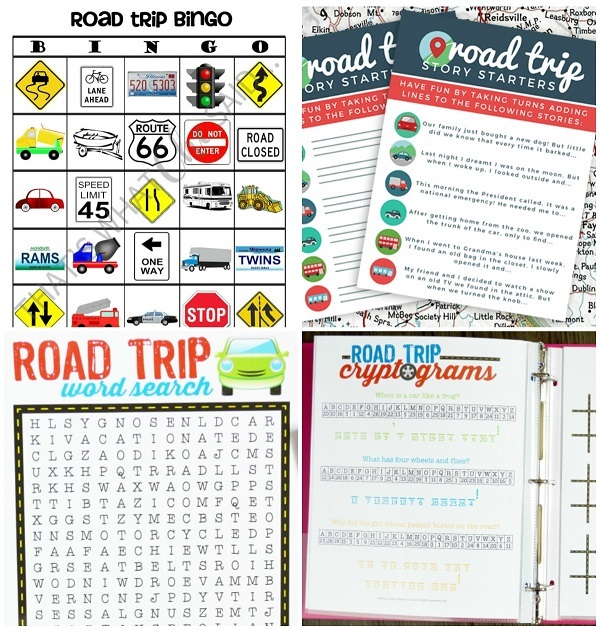 I decided to find a whole bunch of free printable road trip car games and make a huge folder of them to spread out over the drive. I plan to also bring some plastic sheet protectors and low odor dry erase markers to reuse the best games. 'Cause I ain't bringing a printer on this trip with us. It would seem like a waste to just amass such a great list for ourselves when we can share them all with you! 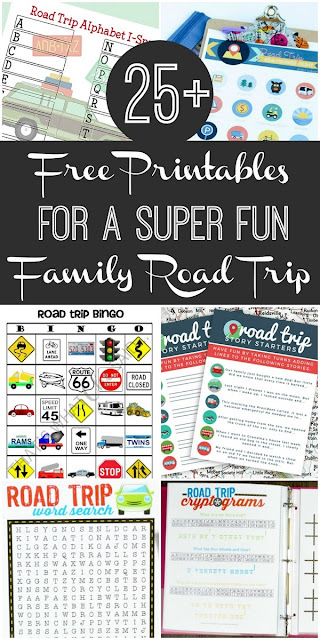 So here's a list of 25+ great free road trip printables - games worth printing for your long drive ahead. Lindsay has a whole BINDER of printables to share. 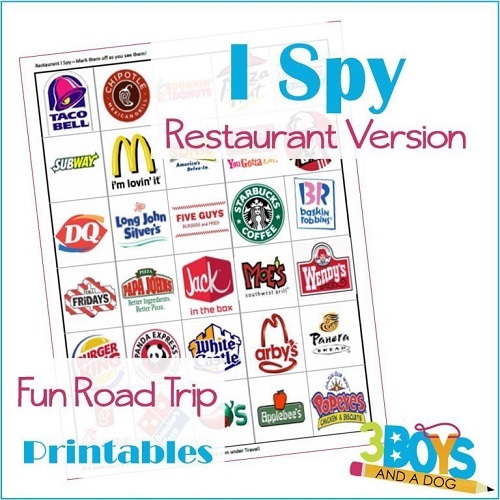 And check out her I-Spy craft too - very cool. 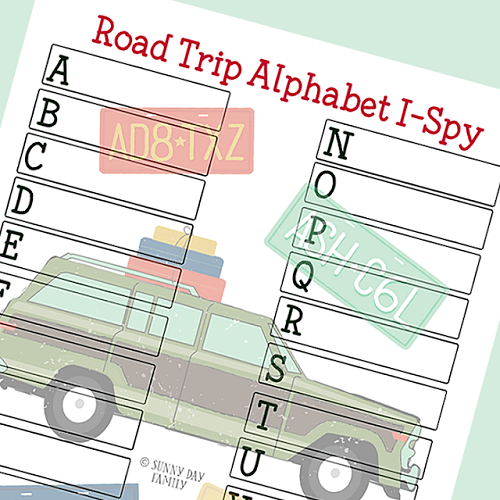 A road trip through the US of A would be extra fun with this I-Spy. 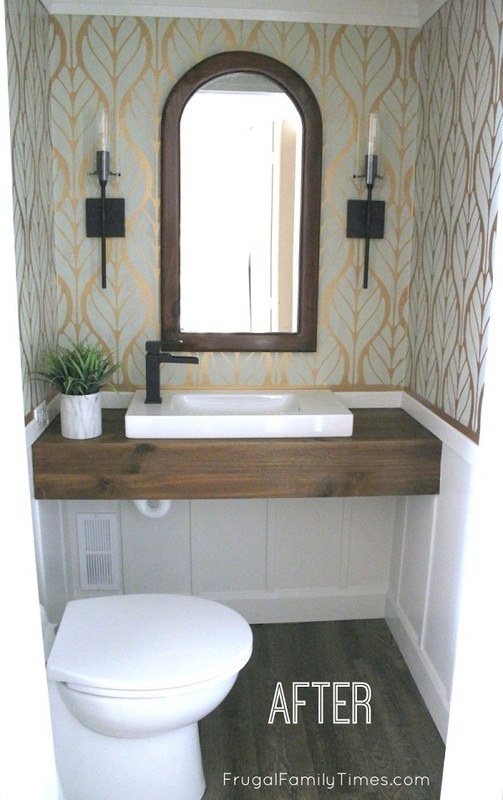 Visit Kelli's blog to download. 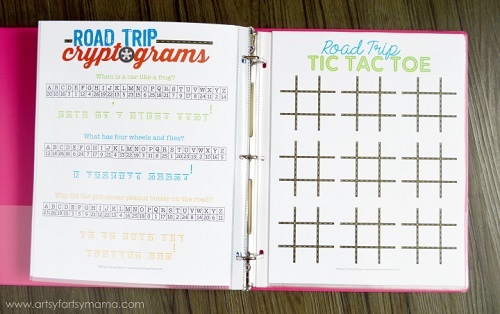 - and this printable from Stephanie will make the hours fly by. 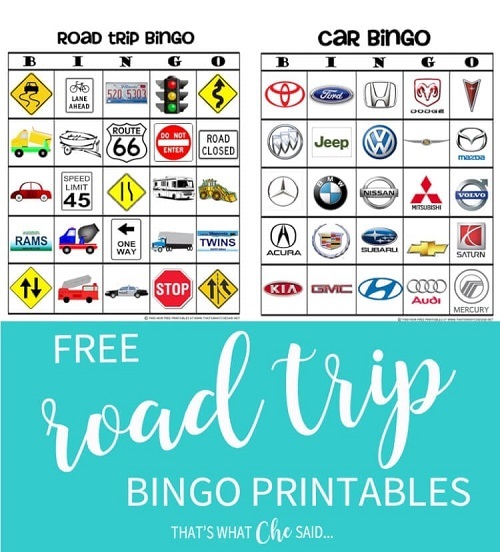 This Car Bingo Printable is coming with us for sure! 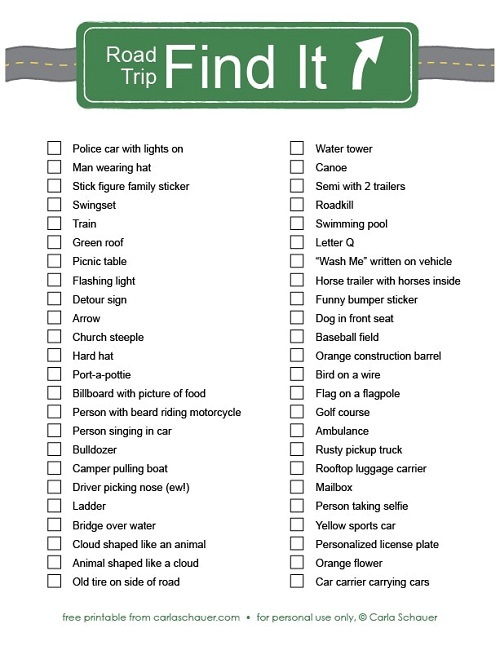 This scavenger hunt is adorable - so beautifully designed. 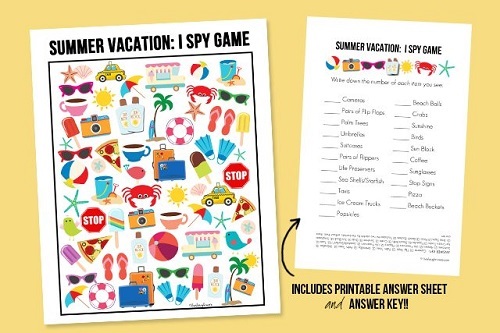 - this will be great when we need some quiet time after all the I Spy games that involve hollering. 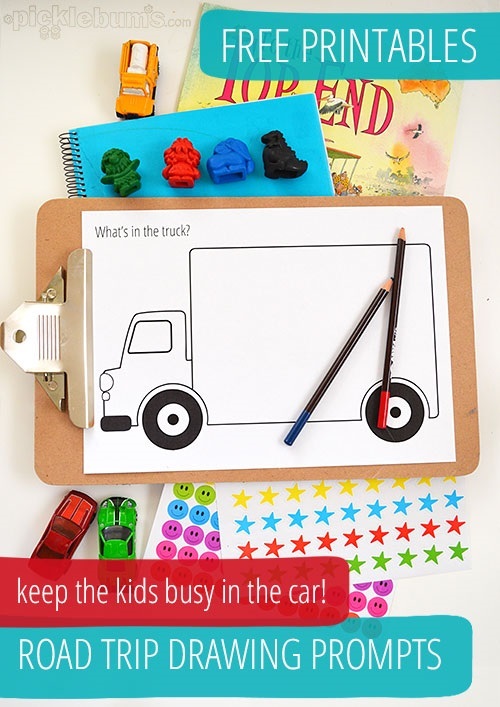 This one's great for older kids - mine will love it - thanks, Carla! 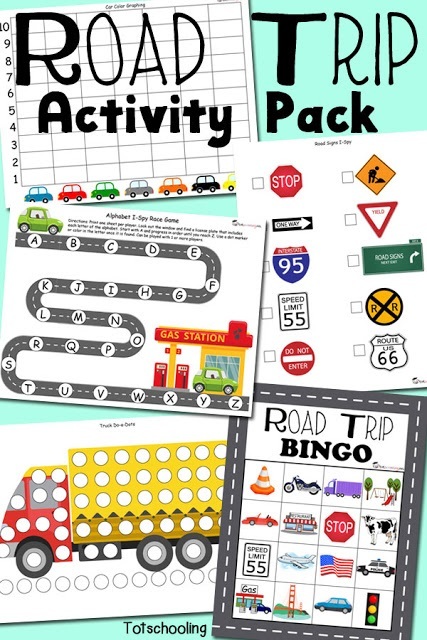 Emily has shared so many great games and activities here - definitely printing these. I'm going to tuck this one into a plastic page protector and use low odor dry erase markers to have game after game! 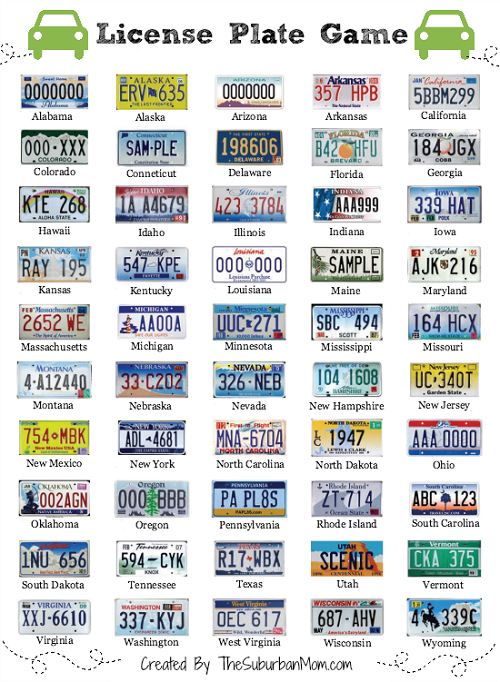 Jen has shared this awesome US license plate game. 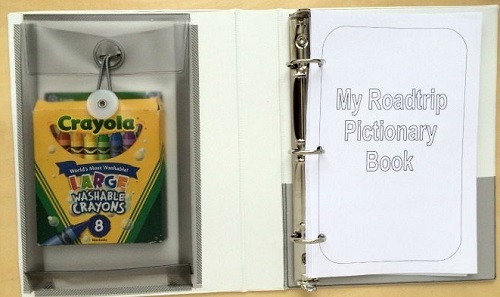 Great for new readers to practice their spelling skills! 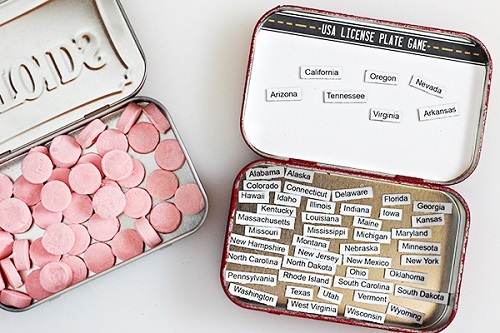 My kids will love this re-purposed tin! 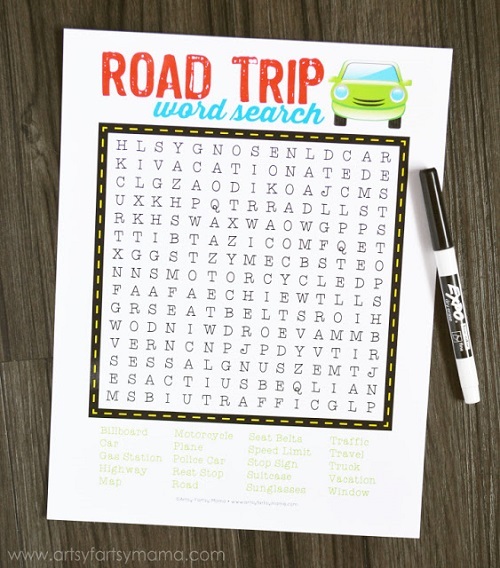 Another printable from Lindsay - this time a word search! 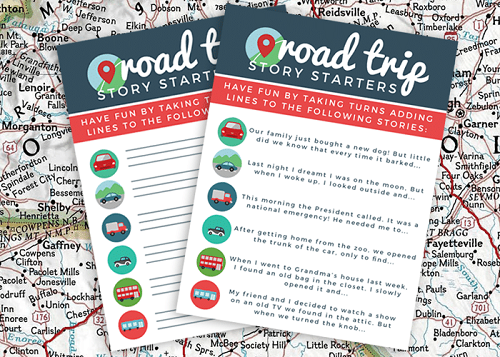 This would be a sweet way for kids to create a memento of their journey - thanks to Laura! 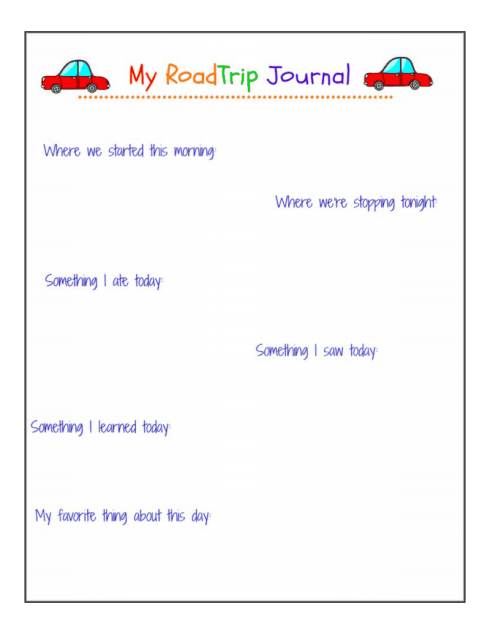 I think I'll print a bunch of these pages and the kids can use up some of the long drive time to write about our travels - especially about those days NOT in the car. 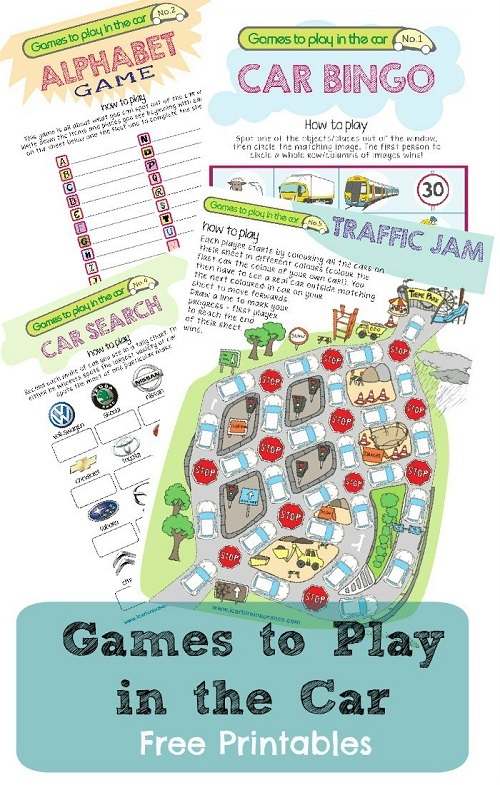 We love these sorts of games! I can already hear the cheering when someone finds the car with more than 10 bumper stickers. When my kids were little they would have been thrilled with this one. 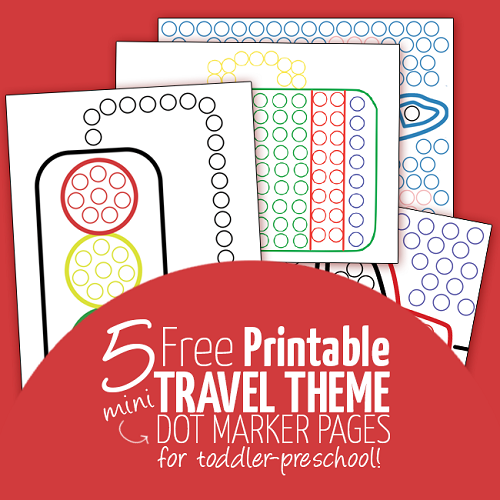 What a neat idea for dot markers ! 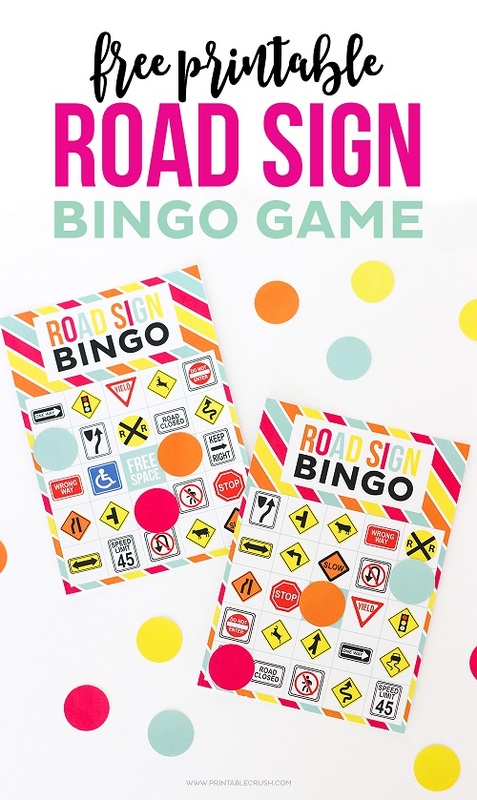 It's going to be torture for the driver to not play along with this game! Our trip will be in a tent trailer - but you road trippers staying in hotels should grab some of these! Hotels get pretty tiresome - when there's no pool that is. Wow! These are just beautiful! Anna has made 13 pages for you to download. 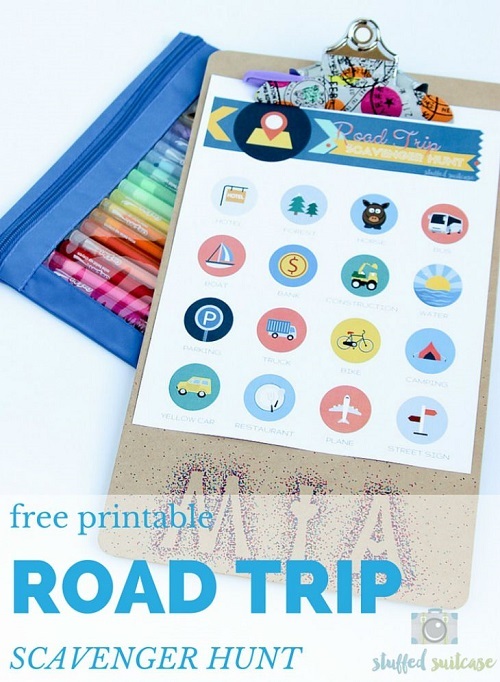 I wish we had these gorgeous printables when our kids were smaller. 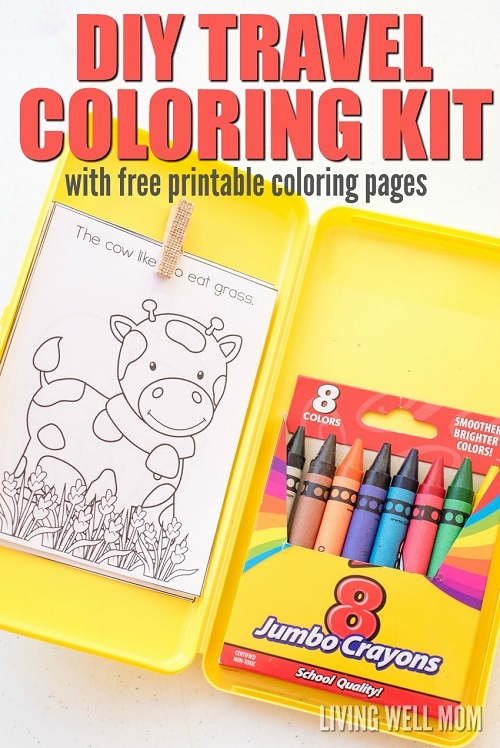 You can grab them for your littles! How fun! Another way to use those bingo dabbers , too. Is there anyone who doesn't like using a bingo dabber?!? My kids can get car sick from looking at devices too long - yours too? These look really fun to reward them for shutting off their gadgets. 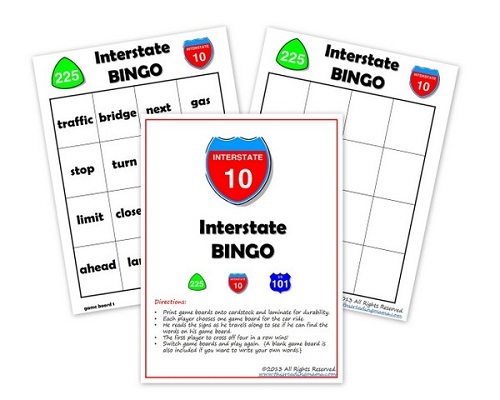 Another great bingo game - this time new readers can practice their skills. 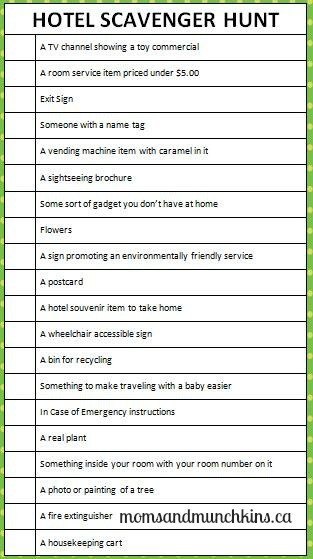 I love the empty one - I can already picture the almost impossible cards my kids will have a blast making for each other. 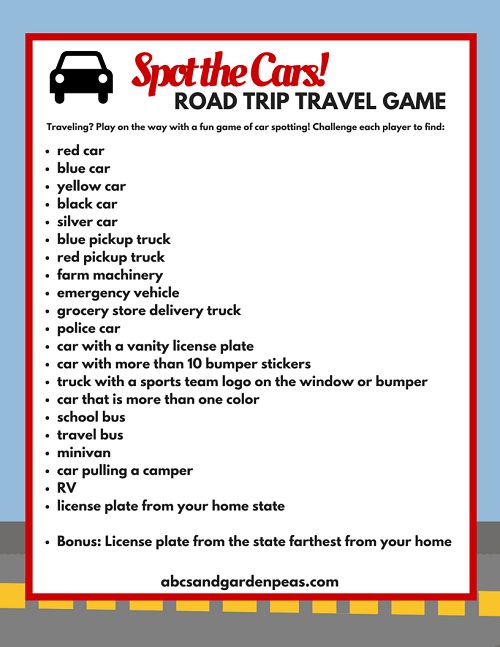 Also, we created a great list of truly fun family road trip games and activities - all from Amazon - one cart and you're done! Check it out here.